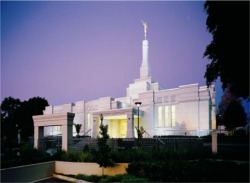 Although this is not an official website for the mission, it is dedicated to all the missionaries who served in the Australia Perth Mission of the Church of Jesus Christ of Latter-day Saints. Be sure to let us know if we need to correct or add something. Suggestions and Comments are always welcome. Most importantly, if you would like to send a referral to the Australia Perth Mission office, please send me a comment to that effect and I'll assist you in doing so. Copyright © 2018 LDS Mission Networksm · mission.net / ldsmissions.net · All rights reserved.